We have recently expanded our supply of zippers, so we have many colors and lengths to choose from now. Why so many zips in the quilt shop, you might ask? Well, we have a whole lot of bag making goin' on these days, in case you haven't noticed! 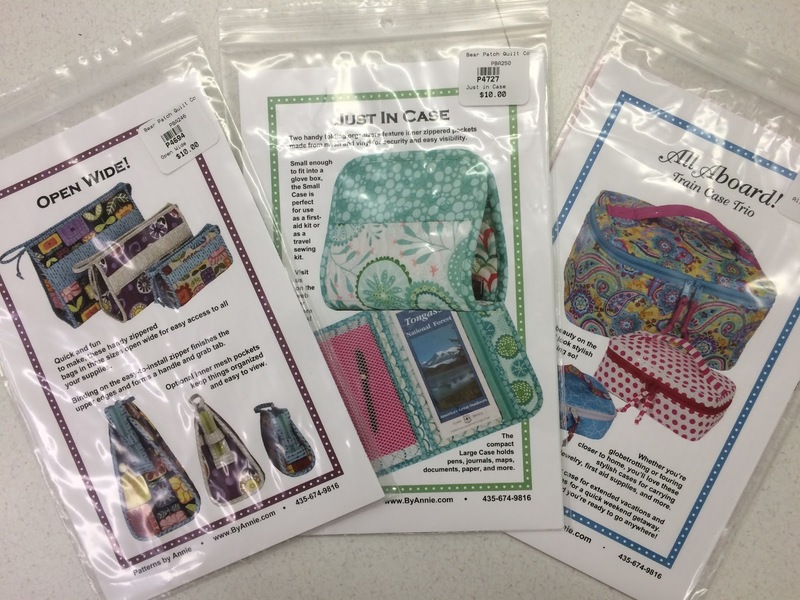 So many styles and sizes and designs and uses for all sorts of bags! 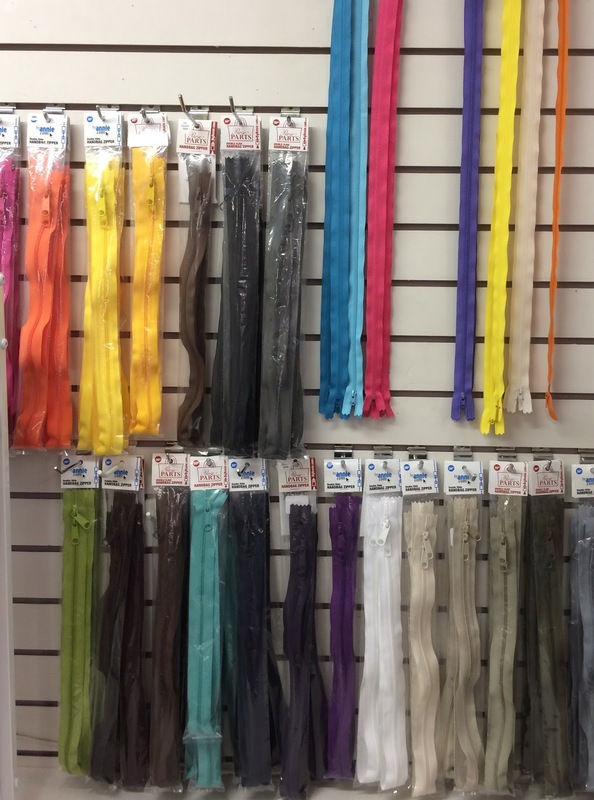 We are constantly amazed at the skill and creativity of the sewists who walk in our doors with the most wonderful handmade creations. Sewing a 3-dimensional item is a bit different than our usual quilts, but the fabric is what bridges the gap! Fabulous prints and a rainbow of colors to personalize your bags, whether for everyday, little gadgets, toys, diapers, lunch or a night out. Give it a try if you haven't already caught the bag bug! 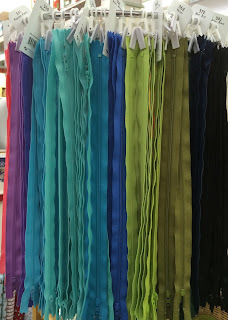 Below is the new rack for our 24" zippers from ByAnnie. These and the 30" zips in the next picture are really crafted with bagmaking in mind, because they have a little wider cloth tape and larger pull tab. 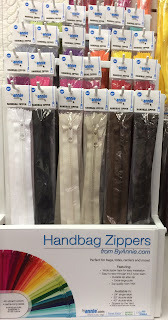 They work great with Soft & Stable for bag support. The longer size comes with 2 pulls in place, in case you need that feature. 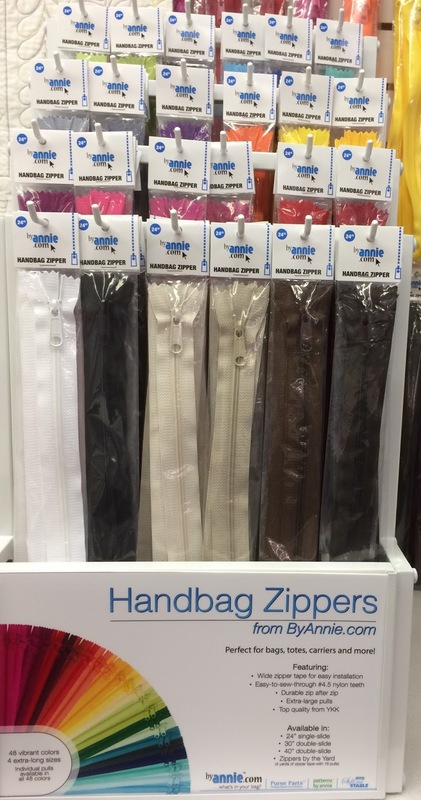 Also, we have the standard 14" and new 22" zippers from Atkinson Designs, perfect for anything that needs a little zip! 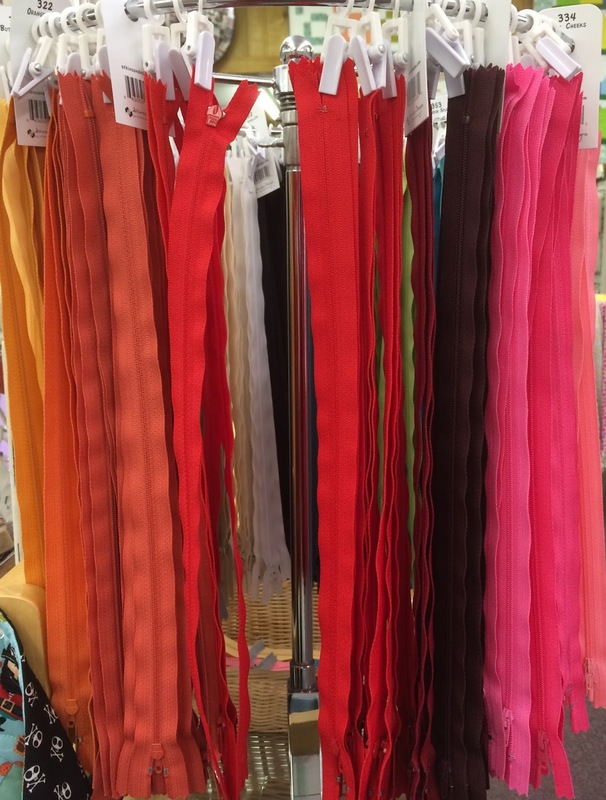 The beauty of all of our zippers is that they have polyester teeth, making it easy to tailor them to the length you need, and easier to insert without danger of breaking a needle on those metal teeth. I hate when that happens! These are the zippers that we have been using for the newest Lazy Girl bag patterns (Fobio, Sweet Pea and Becca), samples are on display and on her website. On Lazy Girl and ByAnnie websites there are tips and instructions on making better bags, too. 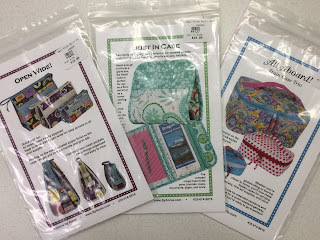 And just in time for the fun, we have just received 3 new patterns from ByAnnie. These are Open Wide, Just in Case, and All Aboard. I can't wait to see these sewn up in some of our gorgeous new fabric that has been busting out of the storeroom!